HAIRSPRAY is piled bouffant-high with laughter, romance, and infectious musical numbers. Set in Baltimore, 1962, Tracy Turnblad is a big girl with big hair and an even bigger dream: to dance her way onto TV, and into the heart of teen idol Link Larkin. Tracy’s audition makes her a local star and soon she is using her new-found fame to fight for integration. But can she win equality – and Link’s heart – without denting her ‘do? 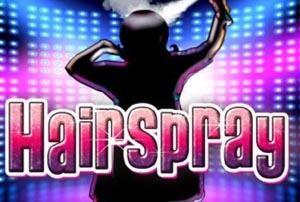 Featuring the hit songs “Welcome To The ‘60s,” “You Can’t Stop The Beat,” “The Nicest Kids in Town,” and many more, HAIRSPRAY is an irresistible, feel-good show guaranteed to have you dancing the night away. $59 – $84 KIDS (18 and younger) SAVE 50% AT ALL PERFORMANCES * No children under the age of 4 will be permitted in the theatre including babes in arms.